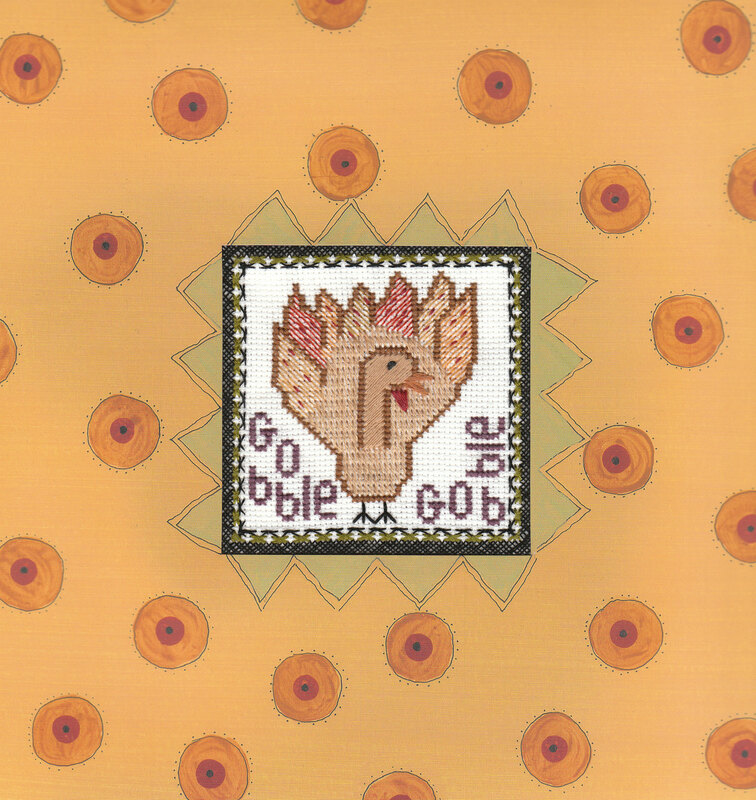 I picked this kit up in the Poconos from Selma’s Art Needlework. I love the simplicity of the design. It used just satin & stem stitches. There are only 4 colors of DMC floss. 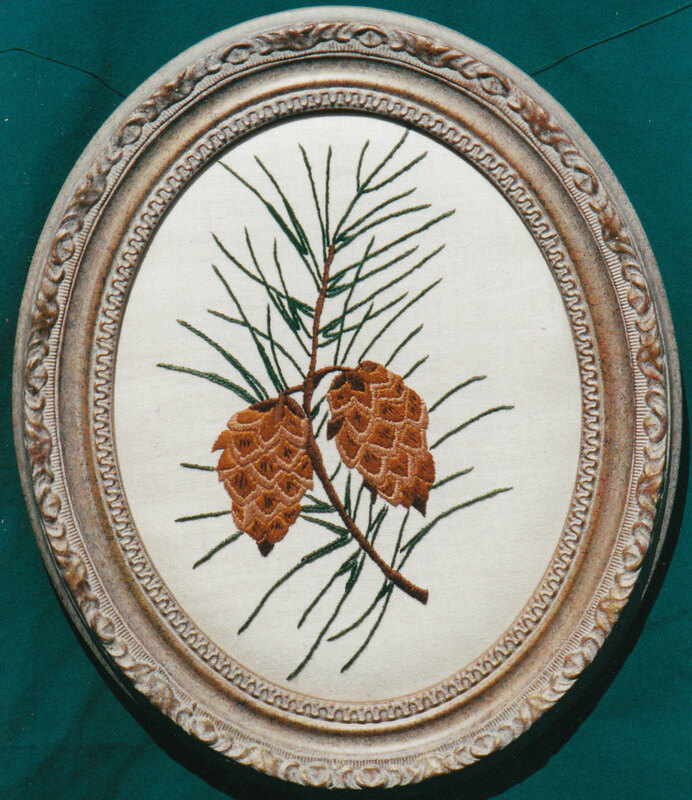 Some part of the design was stamped or drawn on a piece of linen. Simple but stunning. And, didn’t Dan at Framers Workshop pick a great frame? 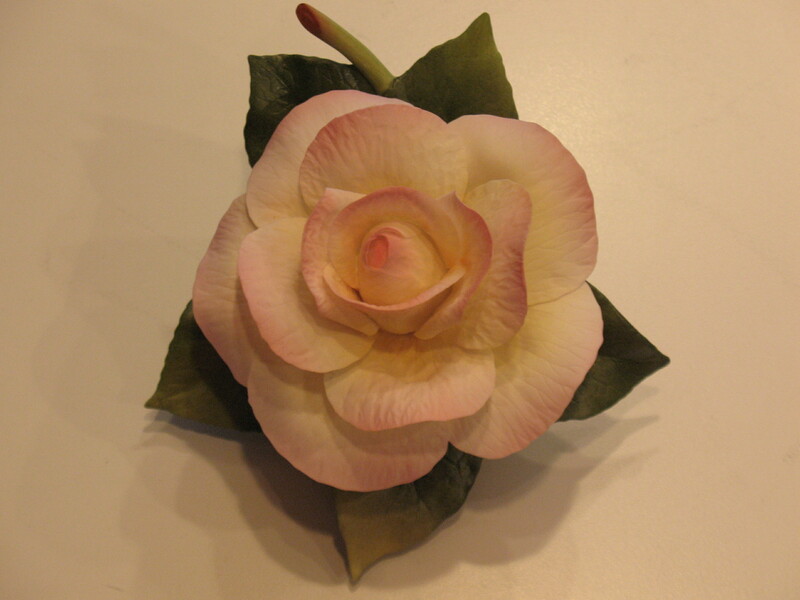 The Peace Rose is beautiful! 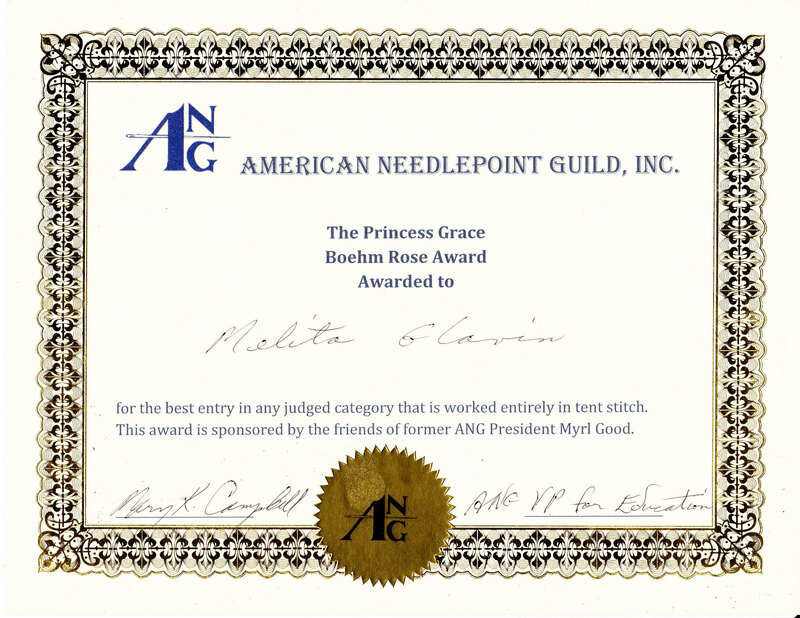 Thanks again to friends of Myrl Good, the Princess Grace Boehm Rose Award sponsors. As I’ve mentioned, for our ANG Chapter Project this year, we are doing samplers. Last night we had a sampler “Show & Tell” at our monthly meeting. 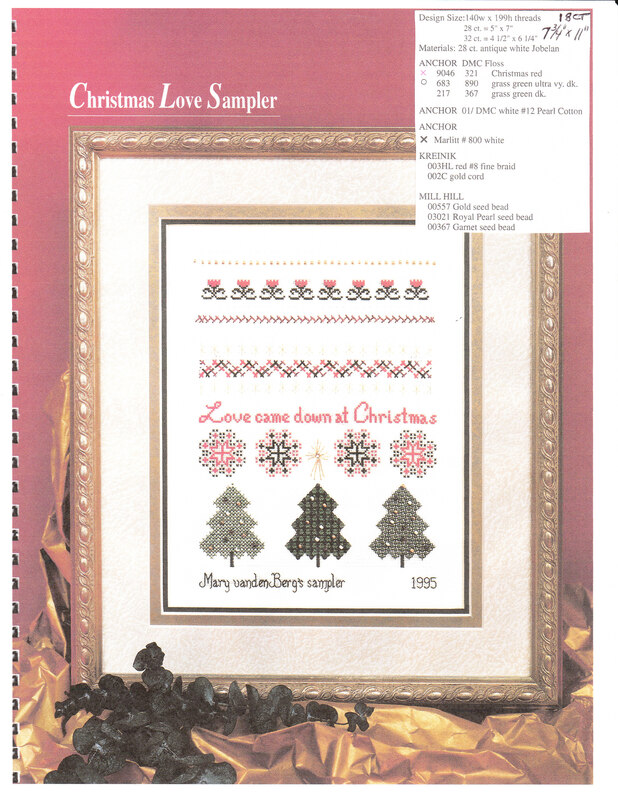 Folks brought in a wide variety of samplers such as miniature, wedding, couching, stamped cross stitch, & historical ones. We didn’t stitch at all but had fun looking & talking about the individual histories of the dozen or so samplers people brought to share. Good time! For our ANG Chapter Project, we are doing samplers. 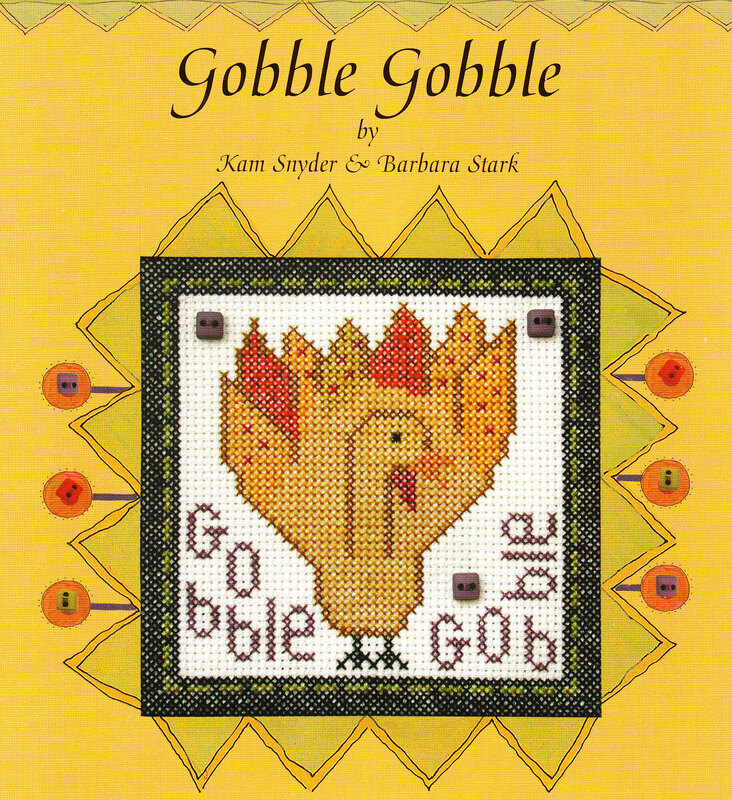 I found 2 speakers from the Delaware Valley Historical Sampler Guild who gave excellent presentations & “Stitches for All Seasons”, a booklet with 7 different samplers on the Stoney Creek website. It was a discontinued item & I didn’t find out until after the newsletter was sent. And, because Stoney Creek is not the designer, they could not make more copies. However, they were gracious enough to provide 6 of them at no charge & said, “Hope you enjoy them.” And, I went on eBay & found 7-8 more copies of the book. 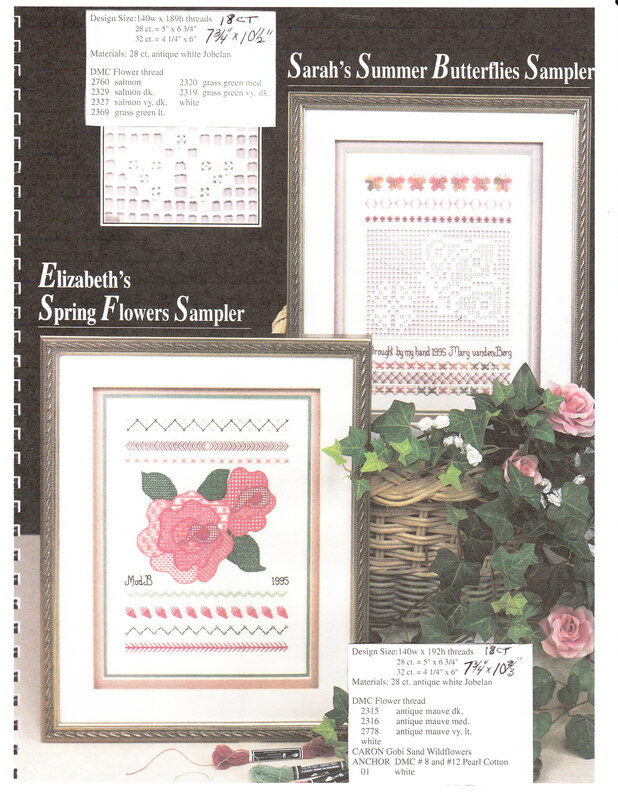 I did not realize that the samplers in the book would be based on 28 or 32 ct (our group prefers 18 ct). So, I calculated the sizes if done on 18 ct (Summer Butterflies: 7&3/4 x 10&1/2, Spring Flowers: 7&3/4 x 10&2/3, Winter Wonderland: 7&2/3 x 11, Autumn Leaves: 7&3/4 x 11&1/8, Christmas Love: 7&3/4 x 11, Friendship: 6&2/3 x 13&1/8, Hearts & Waterlilies: 7&1/8 x 12&2/3). I reminded folks that the threads suggested would be thinner than what you’d need for 18 ct. 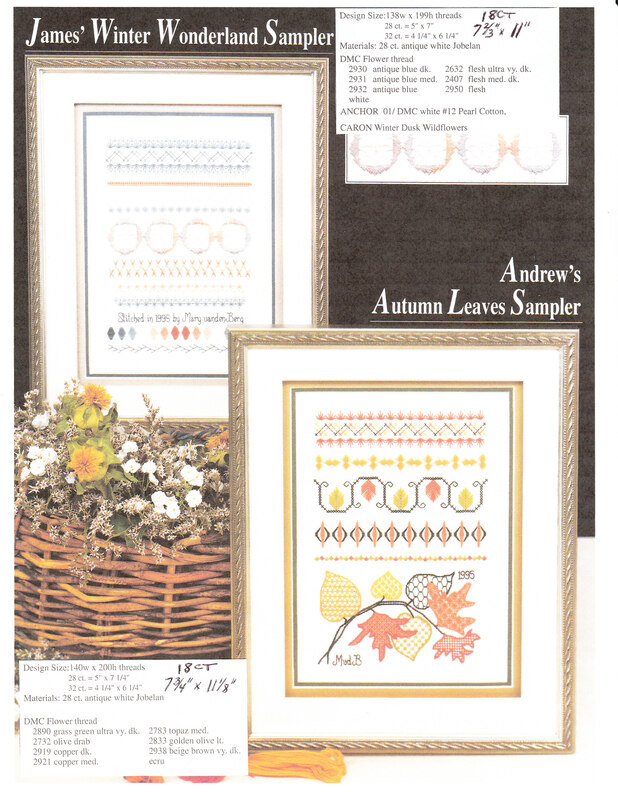 Except for the Butterfly sampler, they should up nicely on 18 ct canvas. I have learned a lot! And, the threads recommended are also not longer available. They are mostly a DMC flower thread – never heard of it!! But, everyone seems willing & able to handle the adjustments. Phew! 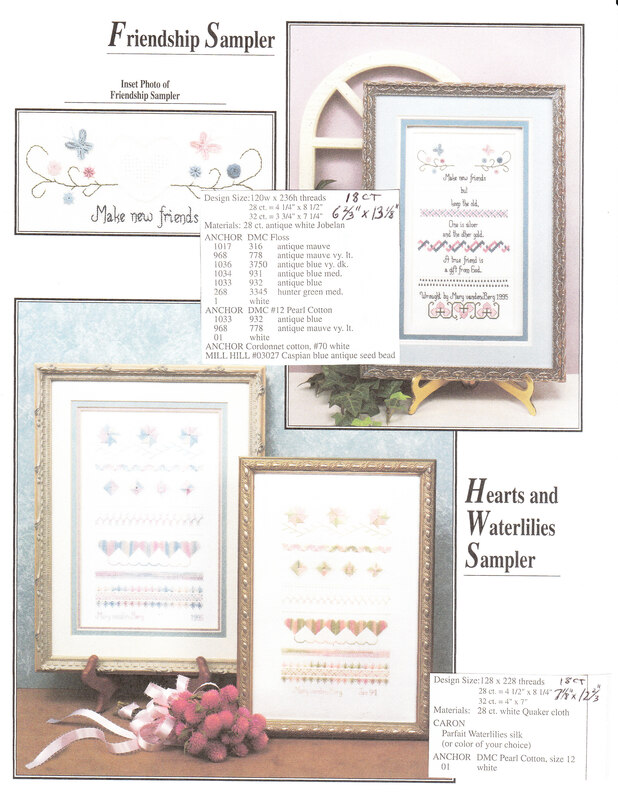 I really liked the Hearts & Waterlilies Sampler but didn’t want to stitch the full sampler with so many other open projects. So, I selected the bands I liked best & placed them on 18 count Aida bookmark. I love it! FYI: Stoney Creek is mainly a cross stitch store but not entirely. For example, there are 3 lovely pieces called Faith, Hope, & Love. And, Love (http://store.stoneycreek.com/love-p8646c20.aspx?Thread=True) was taught at the Stitching Jubilee seminar last year in Lancaster, PA and features several stitch techniques including Queen Stitch, Lazy Daisy, Twisted Straight Stitch, Rhodes Heart, Long Armed Cross Stitch Variation, Smyrna and Four-Way Tied. 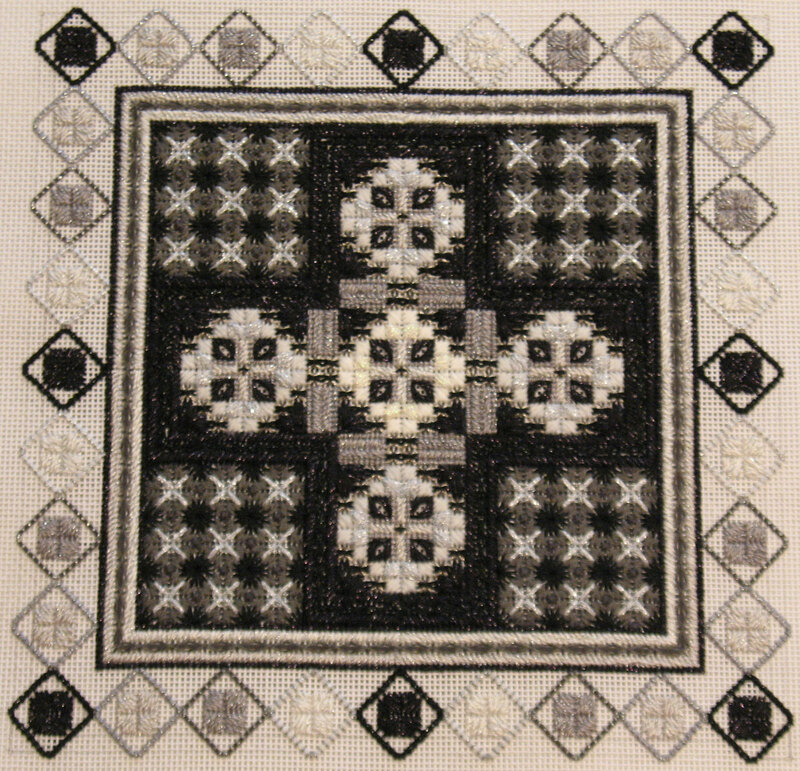 Faith features Long-Armed Cross Stitch, Smyrna, Rococo Variation, Four-Way Tied, Rhodes Butterfly, Long Tail Daisy Stitch and Star Stitch Variation. 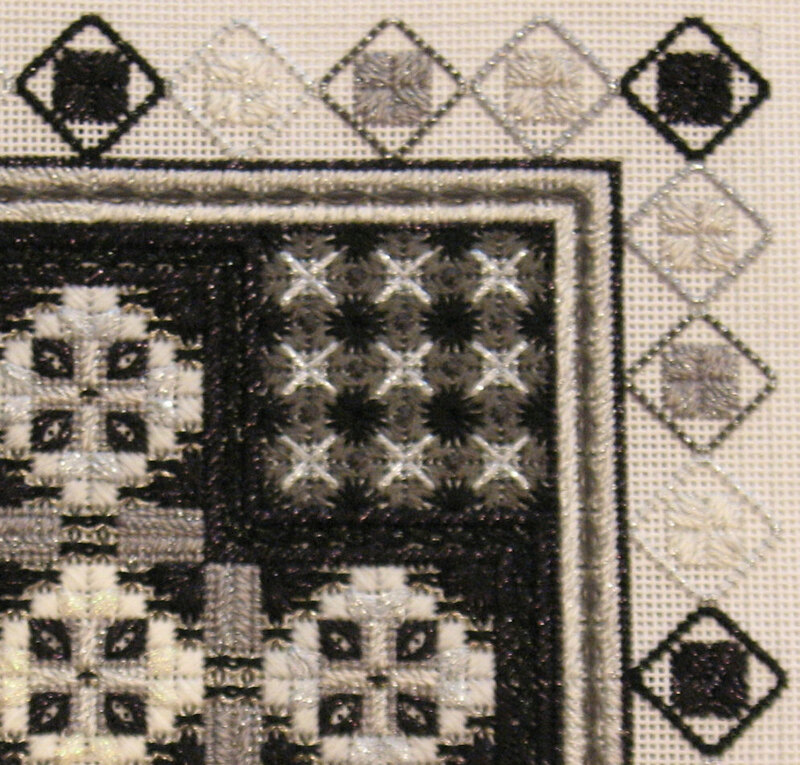 And, Hope features Leaf Stitch, Vaulting Fan Stitch, Large Angel Stitch and Star Stitch.” Thanks again Stoney Creek!